2019 will present many challenges and opportunities for enterprise cloud, and here are five technology predictions and our own recommendations for how we think companies can best prepare for what is coming next for software delivery and operations. As organizations strive to accelerate and scale their application development and releases they are increasingly turning Kubernetes to enable their cloud-native applications and to modernize their IT infrastructure. Kubernetes is the most transformational cloud technology today and in 2019 it'll become the operating system for cloud-native applications. Kubernetes - with its built-in high availability, granular infinite scalability, portability, rolling upgrades, and more - provides many of the features that are critical for running cloud-native applications on a truly composable, interoperable, infrastructure. Enterprises of all sizes would bet on Kubernetes to transform their applications and infrastructure - for both greenfield applications, as well as for re-architecting and modernizing legacy applications to be Kubernetes-based. Advances in open source technologies that allow organizations to run Serverless applications reliably not just on public clouds, but also on their own existing infrastructure, greatly increase the adoption of Serverless across large enterprises. Being able to benefit from the speed, cost savings and improved utilization of serverless while leveraging their own datacenters, along with the ability to port serverless apps between cloud providers -- all make serverless a compelling pattern for enterprises. Large organizations would flock to serverless more and more - not just to accelerate development of new cloud-native applications, but as a compelling pattern for modernizing brownfield, legacy apps. Serverless will become the go-to ‘strangler' pattern for modernizing monolithic, legacy code base. Common use cases and key functionality that lend themselves well for easy decomposition to serverless functions would be the standard path to modernizing legacy apps. Serverless frameworks would act as proxy in fronting legacy applications with a modern RESTful API. Functions can intake data in any format and convert it to a target legacy system to process the response. Functions can also translate messages sent back to the consuming applications via the API Gateway. The edge is increasingly important, and it means different things to different businesses: For the automotive industry, it may mean the growing importance of compute capacity in smart cars. For retail, it might mean new kinds of compute capacity available at point-of-sale systems and new experiences being delivered to customers in storefronts. For example, Chick-fil-A recently shared it was running Kubernetes, a modern technology that's a key enabler for cloud-native applications, in every restaurant. This is a great example of using a powerful cloud-computing technology to deliver new experiences. If an organization is too focused on the traditional data center or cloud, these edge experiences can suffer. In 2019, enterprises will prepare for and enable edge computing by standardizing on Kubernetes as the operating system for new cloud-native applications that can run in the connected cloud and even on edge, air-gapped environments. Cloud lock-in is not just in the infrastructure; it's in the application code itself, due to the dependencies of the integrated services when developing for a specific public cloud environment. Organizations adopting cloud computing often choose one of two strategic ways for implementing and building their cloud journeys. They may standardize on a specific public cloud and integrate its unique APIs, tools and related services. Alternatively, they may use open-source, cloud-native frameworks and tools that allow for the adoption of cloud architectures in a manner that is portable between environments, agnostic to any particular cloud provider and fundamentally more flexible. With large enterprises reported to be managing nearly five different data centers -- spanning both on-premise and public cloud infrastructure -- the first approach can be problematic. It means the way the application is built and its tooling is tightly coupled with a cloud provider, and on-premise applications and infrastructure would need to be managed differently. The cloud should be an architecture and IT experience that consistently delivers -- and on private data centers, too. This creates technical debt and a problem with future-proofing the application to whatever new technology, innovation or infrastructure preferences may come. In 2019, CIOs will need to be even more mindful of how the cloud is adopted, and try to ensure interoperability and decoupling between the application and the APIs or infrastructure it is running on. After all, what they have selected in the past may not necessarily make sense for the business years from now. When it comes to the cloud, many organizations don't realize how expensive the transition can be. More than half (53%) of those surveyed by 451 Research cited cost/budget as a key IT pain point. Going back to issue one, washing over legacy applications makes it hard to determine how expensive it will be to fix issues in the long run. Furthermore, the cloud can be an unforgiving place for an application that is not resource-efficient. Monolithic applications that weren't built to take advantage of cloud constructs can eat up resources at unexpectedly high rates. In year one of cloud adoption, the migration is oftentimes the most expensive cost, but as organizations move into years two and three, they may find their cloud costs are more expensive than anticipated. In 2019, companies will attempt to rein in cloud costs to ensure interoperability and portability, by employing strategies to always use the optimal cloud provider without having to re-code an application. This will allow organizations to leverage existing infrastructure and the investment made in on-premise data centers to deliver the same cloud experience as that of the public cloud. To stay competitive in today's software-driven economy, enterprises MUST be cloud-native, to support their digital transformation (or, perish). It will be a balancing act to move quickly and stay competitive while preparing for the road ahead. By thinking proactively about IT strategies, especially for cloud adoption, applications can be built and positioned for sustainable success. Sirish Raghuram is co-founder and chief executive officer at Platform9. Having experienced virtualization, IaaS and cloud-native industry transitions first hand, Sirish believes that open-source represents the future of enterprise hybrid clouds. 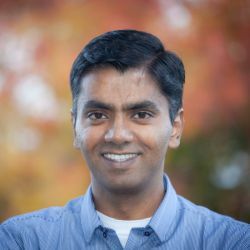 Prior to founding Platform9, Sirish was an early engineer at VMware who went on to technical and management positions. His work at VMware led to several products, features and patents. Follow Sirish on LinkedIn and Twitter.